When most people think of Spain, images of flamenco, bull-fighting, paella, and sangria come to mind, but these are actually traditions and recipes from the south of Spain. Bull-fighting is banned in Catalonia now. And although you can get paella and sangria there, it’s mostly just for the tourists. The large autonomous region of Catalonia in the northeast corner of Spain, of which Barcelona is the capital, has its own unique, colorful and ancient customs, which are truly fascinating, along with its own delicious culinary tradition and even its own language. Catalonia (“Catalunya” in Catalan) is made up of four provinces (Barcelona, Tarragona, Lerida, and Girona) and includes the Costa Brava and the mountainous region of the Catalan Pyrenees. Historically, it also contained an area of France—Roussillon—just on the other side of the French border. This area is now known as the Pyrénées-Orientales, where the people consider themselves as Catalan, although few of them now speak the language. On the Spanish side of the border though, the Catalan language and culture is very much alive and well. There are political reasons for this, since their culture was suppressed by General Franco while he was in power from 1939 to 1975. This suppression has made the Catalans understandably protective and proud of their traditions. And of course, in recent times, this has also resulted in another surge of campaigning for full independence. Most Catalans, in my experience, are less politically motivated and happy to remain as part of Spain. There has certainly never been any of the violent militancy that has blotted the turbulent history of the Basque country. You certainly see the Catalan pride in their culture on their National Day—La Diada— (September 11) and St. Jordi (their patron saint’s day on April 23), when everyone gives each other red roses and books. This is a reminder of the time when Catalan books were banned, so it is a poignant occasion for those who lived through the Franco years. There is always a large book festival in Barcelona on this date and stalls selling books and roses all over the city. The Catalan language is widely spoken in Catalonia, with over 4.1 million native speakers. It is now widely spoken in schools, universities, and official departments. It is closely related to Spanish, French, and Italian, although it is a distinct language with a very particular pronunciation. But if you understand any of these romance languages, you will find it relatively easy to pick up Catalan. There are also dialects of it spoken in the Balearic Islands, called Mallorquí, Eivissenc, and Menorquí. Dialects of the Catalan language are spoken in the Balearic Islands. When I first lived in Spain, it took me a while to distinguish the two languages at first, but eventually, I learned enough Spanish to communicate and enough Catalan to understand what was being said. I once did a course in veterinary nursing and the teacher was very kind in trying to keep to Spanish for me. She used to forget sometimes and as her eyes swept around the room, she would suddenly switch back into Spanish from Catalan as soon as she saw me. It was quite amusing really and didn’t much matter as I pretty much understood it by then. A lot of people speak English in Catalonia, especially in Barcelona, the other larger cities and popular tourist areas. Only occasionally, in very small villages and among the elderly, did I find people who would only speak Catalan to me. This may have been because they didn’t want to speak Spanish, but I think in very isolated areas it may even have been that they couldn’t, even though it was forbidden to speak Catalan under Franco. 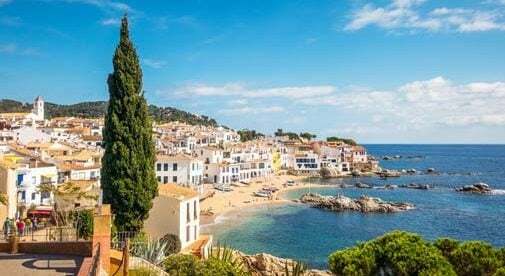 The fact that there are two languages with which to come to terms may put some expats off moving to this part of Spain and the Balearic Islands. But for me, the Catalan culture makes this area, a rich and vibrant place to live and the languages didn’t really cause much of a problem. But there is a lot more to the Catalan culture than just the language. They have a rich heritage of music, dance, festivals, food, and some very strange community activities. If you go to the cathedral square in Barcelona on a Sunday morning, you will see sardanas being danced. This has gone on ever since it became possible to express Catalan culture again after the death of Franco, and the Catalans are very proud of this tradition. It is a simple dance, with the dancers standing in a circle holding hands and raising them in the air. It has become a powerful symbol of Catalan pride and independence. The music for the dance is played by a cobla band, which is made up of reedy sounding wind instruments—a bit like an oboe. It has a very distinctive sound. You’ll find cobla bands playing at festivals and events all over Catalonia, dressed in their traditional costume with red woolen hat and wide belts. The tradition of building human towers involves whole communities and they hold huge competitions between villages and towns to see who can build the highest. It is a remarkable feat of endurance and agility from the groups who do this, and it takes a lot of practice. The scariest part is when a tiny child climbs up the tower right to the top. It takes an enormous amount of mutual trust and cooperation to achieve these towers. They look spectacular too, as all participants are clad in their black, red and white uniforms. This has to be my favorite of all the Catalan customs. It is both crazy and exhilarating. It originated in a medieval practice known as the Ball de Diables (Dance of the Devils) and involves folk dressed up with masks and pitchforks, dancing to loud, intense drumming while letting off fireworks. There are parades of monsters spouting fire and people running in the streets, with fireworks spinning above their heads on long sticks. In the one I saw, fireworks had been suspended on wires over the entire town square and the dancers were parading and dancing under them. You’d think there would be a lot of casualties, but everyone wears cotton headscarves over their heads and faces to protect them from the sparks. In their current form, they became popular in the 1980s and 1990s and now most towns and villages will have their own correfoc each year as part of their “Festa Major”. In Barcelona, there is a huge one on September 24 at La Mercè (a celebration of the city’s patron saint). 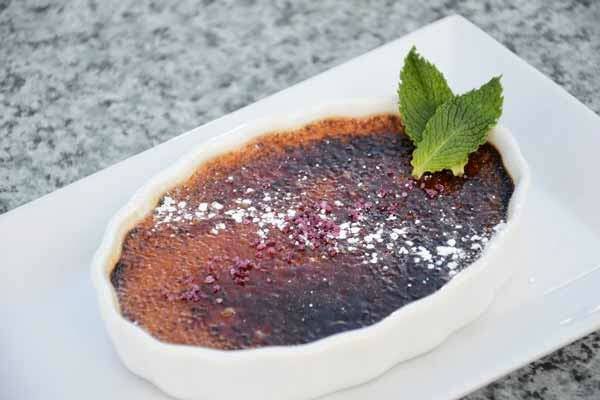 Indulge in the region’s delicious desserts. Catalans are justifiably proud of their culinary traditions, too. Some of my favorite Catalan dishes are conill i caragols (rabbit with snails), habas a la Catalana (broad beans cooked with sausage), espinacas (spinach with pine nuts and raisins), escalibada (a cold, roasted vegetable salad), pollo amb samfaina (chicken with ratatouille) and crema Catalana (the Catalan version of custard with a caramelised sugar top). Other famous desserts include the turrón, a bar made of nougat or marzipan and given as a gift at Christmas and the ensaimada, which is a massive round pastry that originated in Majorca. In autumn, the streets of Barcelona fill with braziers roasting chestnuts and sweet potatoes. Then from December to March, you can get calçots. These are a cross between a spring onion and a leek. They are grilled on a barbecue until black and served with romesco sauce, a delicious concoction of ground almonds, garlic, and roasted red capsicum. You are always given a large bib with these as they are extremely messy. You strip the outer burned leaves off with your fingers. Utterly delicious. In the country villages, you often have grilled goat on the menu for the second course. There is lots of fish in Catalonia too. Monkfish or dried cod, prawns, anchovies, and sardines are all wonderful. 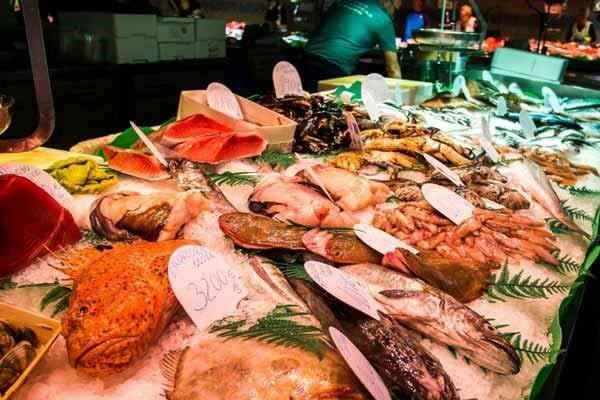 There’s no shortage of fish to feast on in Catalonia. The Catalans are very proud of their sausages (butifarra) and cheeses (queso). I particularly love the sheep and goat cheeses such as manchego. They also love their offal, such as pig’s feet (peus de porc) and fried liver (higado). And of course, we mustn’t forget the tapas, which are everywhere, as in the rest of Spain.